Every year this firm offers a $1,000 scholarship to a U.S. college student who creates the best video essay. The video will discuss one of the following: the importance of consulting a business attorney before starting one’s own business, or how tax attorneys improve modern society. Improve understanding of the importance of attorneys in the U.S. society. To be eligible, you must be an enrolled student in an accredited U.S. college or university. Scholarship entries are due no later than August 15th of each year. Scholarships are awarded annually in late August/early September time frame. Entries are judged solely by this law firm. No application fee is required. Record a video, no longer than 3 minutes, discussing one of the topics defined above. Applicant must appear at least once in the video. Voice over must be in the voice of the applicant. Title the video Sodowsky Law Firm Scholarship | applicant’s full name. Include this link http://www.sodowskylaw.com/safety-scholarship-for-law-students/ in the description. Share your video on our Facebook page and on your own YouTube channel or on your publicly-shared, Facebook page. For more information, please email info@sodowskylaw.com. Video applications for this scholarship are due by midnight August 15th of each year to be considered for the Fall term of the same year. Late submission will be considered for the following year. The winner will be chosen by our law firm and notified in late August/early September. You must read these Terms and Conditions in full. In accepting a scholarship from Sodowsky Law, it is understood that you have read and agree to comply with these Terms and Conditions. 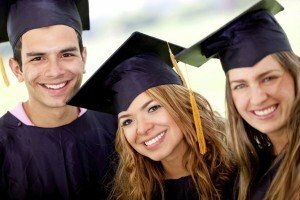 If you are offered a scholarship, your details including name, school, photograph, video and scholarship awarded may be passed on to media and used by Sodowsky Law and / or partner organisations for promotional purposes, including but not limited to Sodowsky Law’s website, social media channels, print and electronic media. If you do not wish for your details to be passed on to media or used for promotional purposes, you must notify Sodowsky Law in writing.